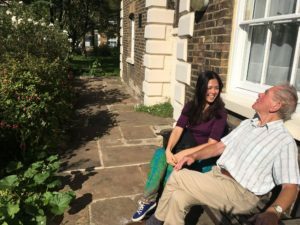 Love Your Neighbour is South London Cares' friendship matching scheme in Southwark and Lambeth bringing older (over 65) and younger neighbours together to spend a little time one-to-one. 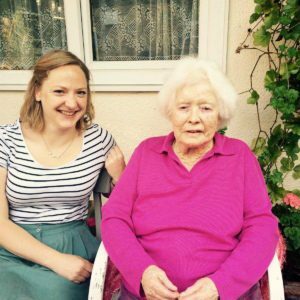 Friends who've met through Love Your Neighbour will normally enjoy a cup of tea and a natter about all sorts – from work to relationships to days gone by – and build deep and mutual friendship over time that help bring a little of the outside world in for neighbours who can struggle to get out. Check out some of the lovely images of friends Amelia and Ivy, Alexandra and Bernadina, Cait and Annabel, Edward and Sandra, Arthur and Frances and Saleha and Laura below. 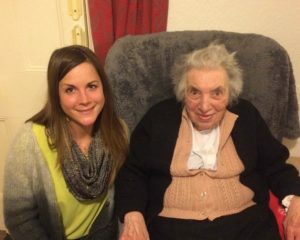 If you'd like to refer an older neighbour please follow this page down to our Older Neighbour Referral Form. To sign up to volunteer, fill in this short form and we'll get in touch. For general enquiries you can also get in touch via our Contact page.